Sustainability is inherent to the purpose of our business. Our business offers textile products and services which are available to suit the changing needs of a wide range of customers. We provide textiles to our customers in an environmental friendly and socially responsible way. Renting textiles ensures customers have the required garment and linen supply when and where they need it, that the lifecycle of each textile is optimised, and that the textiles are recycled when they are no longer usable. Within our industrial laundries, the use of clean technology enables us to reduce our consumption of resources and therefore minimise our environmental impact, which is essential for sustainable development. Key resources such water and energy are reused from one part of the laundry in another part of the process. The textile services business model is part of the circular economy. Everything is designed to maintain the textiles in circulation as long as possible: design and selection of textiles, design of washing and drying procedures etc. Textiles that are discarded at the end of their first life are either recycled, remanufactured­ as different products, or incinerated to create energy. By its very nature, the textile services business model provides a more sustainable alternative to ownership of textiles, disposable textiles and washing textiles at home. 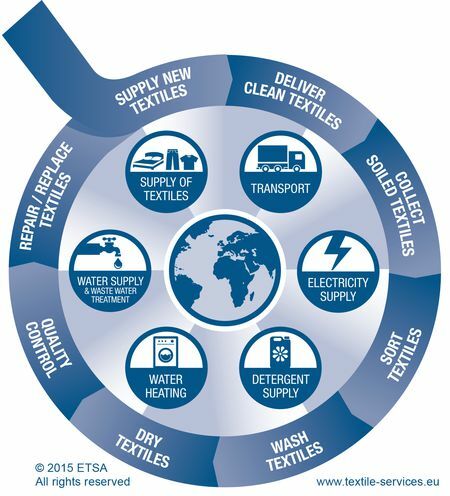 Read the ETSA report 'Sustainability and Corporate Responsibility in the Textile Services Industry'. ETSA member companies pledge to strive continuously to minimise the environmental impact of their operations, while achieving their primary objective of ensuring the cleanliness and hygiene of their textiles. Member companies are committed to a coherent environmental programme, ambitious targets for annual improvement, long-term environmental goals and measures to achieve these. Rented textiles have a significantly longer life cycle than owned textiles. The main environmental burden of a rented textile product comes during the care cycle of that product. When the rented product no longer meets its quality requirements, it is removed from circulation and replaced by a new product or by a used product which still meets these requirements. A long service life begins with selecting quality, durable textiles, using laundry processes which minimise wear and tear and by carrying out repairs during the care cycle. ETSA members encourage their suppliers to commit to a high level of environmental responsibility and select them accordingly. ETSA members continuously strive for lower energy consumption, in particular thermal energy and electricity. 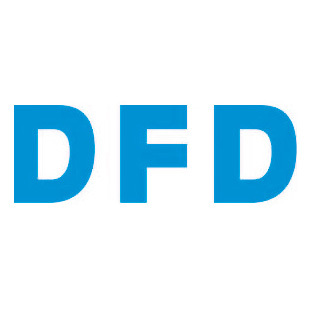 Energy consumption is reduced in a responsible manner and with a long-term approach, by, for example, implementing energy-efficient technologies such as heat recovery systems and low temperature washing, and by placing a greater emphasis on machine and equipment maintenance. Water consumption is optimised by recirculating and efficiently re-using water from one part of the laundry process in another area. Moreover, processed water is also treated for recycling. ETSA members strive to use environmentally-friendly washing detergents. Only detergents which minimise the impact on the environment are selected. Wherever possible, reusable materials such as textile bags are used to package clean textiles. Delivery and collection of rental textiles is coordinated so as to minimise the number of kilometres driven. ETSA member companies ensure that their waste and wastewater fully meet the legal regulations in their respective countries. The sludge from the wastewater treatment is disposed of in a responsible manner. The main waste from textile rental is the disposed textiles themselves. ETSA members strive to re-use textiles whenever possible. Otherwise, textiles are recycled or used as raw materials in energy production. ETSA members monitor their waste volumes closely.